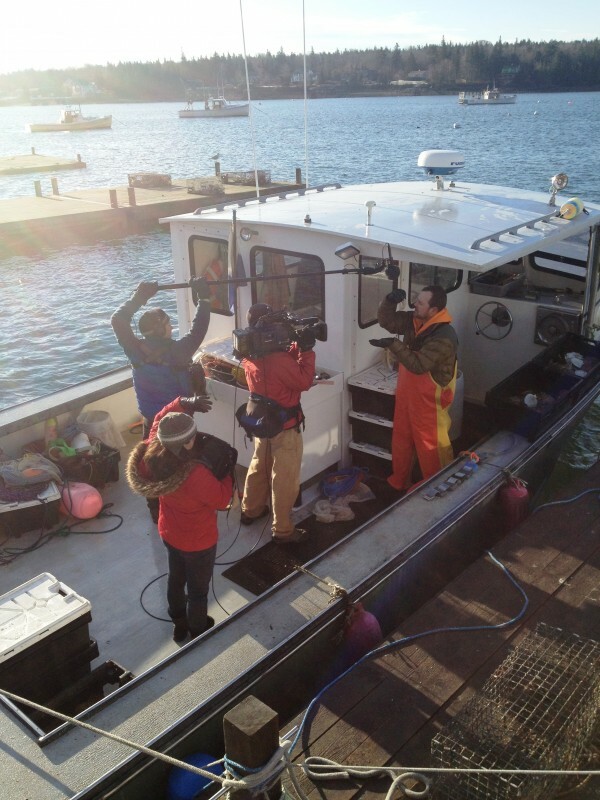 A television crew from the Colbert Report show films a segment recently with Southwest Harbor fisherman Andy Mays about two buckets of scallops guts that Mays misplaced last November. Comedy Central's "The Colbert Report" ran a segment Monday night, March 4, 2013, about a case of missing scallop guts on Mount Desert Island. The story broke in the Bangor Daily News in 2012. Abigail Garthwait, University of Maine associate professor. 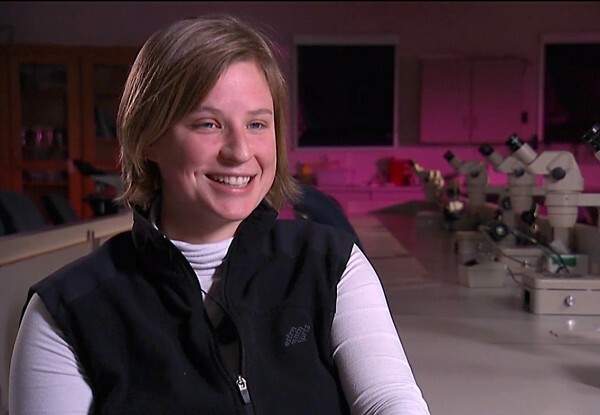 Skylar Bayer is a graduate student at the Darling Marine Center, a University of Maine marine research facility in South Bristol. SOUTHWEST HARBOR, Maine — Scallop gonads do not have a reputation as being intrinsically funny, the way banana peels or rubber chickens might. But when two buckets full of the mollusk innards that are part of a scientific study go missing, and when the police get involved to find out where they may have been taken, there’s a chance somebody might try to make a wisecrack about it. There’s also a chance, apparently, that a national cable comedy television show might take an interest. 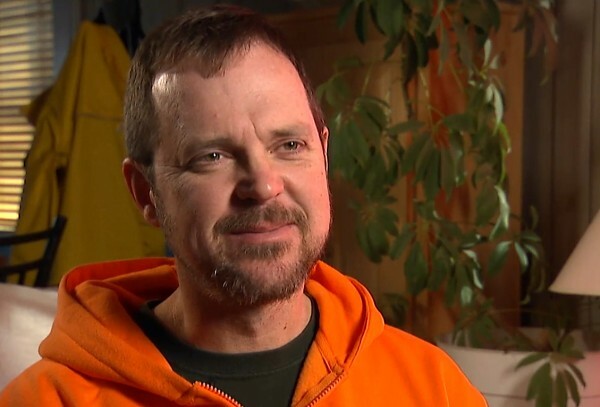 That’s what happened last fall when an incident in which a local scallop fisherman misplaced two buckets of scallop guts made national headlines. “The Colbert Report” on Comedy Central decided to spoof the incident and, with the help of those involved, came to Maine to film a segment on it last month. The segment aired on the cable program on Monday night. Last Nov. 26, police on Mount Desert Island and in Ellsworth alerted the public that the buckets went missing after the fisherman, Andy Mays, mistakenly put them in the back of the wrong car and the person then drove off, not knowing the bivalve bits were coming along for the ride. A producer at “The Colbert Report,” hosted by comedian Stephen Colbert, saw the headlines and decided the story was too weird to pass up. “We spend a lot of time on the Internet,” show producer Nicole Savini said Monday. Mays had been collecting scallops for six months as part of a research project through Darling Marine Center, a University of Maine marine research facility in South Bristol. He had gutted the bivalves, isolated the gonads and stored them in formaldehyde, and made arrangements to deliver them to Skylar Bayer, a grad student at the Darling Center who had agreed to meet him at a Mount Desert Island convenience store. Mays got to the Somesville One Stop, spotted a parked car with UMaine plates, put the scallops in the vehicle and then went inside the store to find Bayer. She was not there, however, and when he went back outside, the car with the scallop guts wasn’t either. In the “Colbert Report” segment, Bayer is portrayed as a “lonely lady scientist” with a nefarious plan to perfect a scallop-man hybrid and destroy the human race. 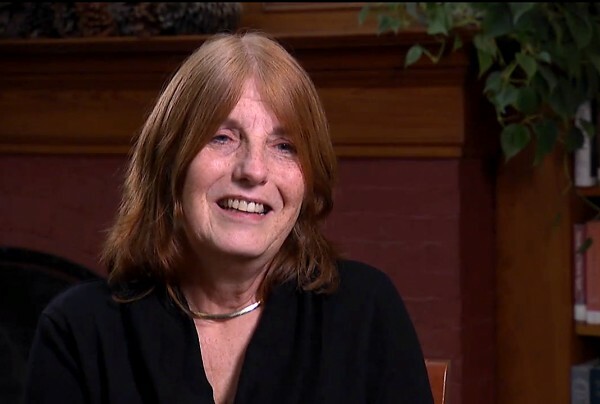 “I am not trying to destroy the human race,” Bayer tells the interviewer in the piece. Mays tells the show producers that he gave the scallop gonads to Bayer and then traded the scallop meat with friends for liquor. At one point, he gulps down a large scallop gonad for the camera. “If you crash your car drunk and need someone to help you hide it and everything, I can do that on a minute’s notice,” he tells the interviewer with a straight face. Contacted about his appearance on the comedy show, Mays said he was happy to play along and poke fun at himself, even for the sake of a TV show he has never seen. He said he doesn’t have cable or even a television because he doesn’t have time for it. Mays said part of the fun has been the reaction he’s gotten from friends and family telling them he’s going to be on the show. Savini said she and another staffer with “The Colbert Report” came to Maine in early February and, with the help of a camera crew based in Portland, spent two and a half days interviewing people involved in the incident. Aside from Mays and Bayer, they also interviewed Garthwaite on camera for the piece. Savini ate a lot of “the best scallops I’ve had” during her visit, she said. They interviewed Mays on his boat, Lost Airmen, but did not leave the dock.